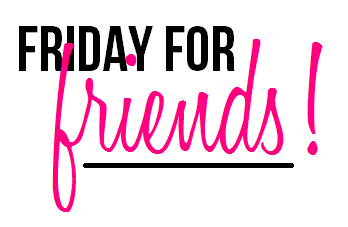 Angela Kulig: Friday for Author Friends! Are you an author? If not, you might want to ignore this, and look for the awesome giveaway post later! I would love to share your book, post, giveaway, etc on Twitter. For free. There are people who charge for this service, some of them charge even to reach a fraction of the Twitter Followers I have (25,000+), but they aren't me. Unfortunately, I will probably not be able to share every thing submitted. If you are wanting some tips for being selected they are pretty easy. 1.) Make sure we know each other. You don't have to be my best friend--trust me I run into those crazy stalker types online, but introducing yourself to me via Twitter or email if we don't already talk regularly would be great. 2.) Make sure if you are promo-ing a book, that it has a great cover and is received well. No, I don't have some magic star, review count, formula. I am the only one seeing these things and I think I can pick a decent book from a poor book! That's pretty much it. Keep in mind your content could be KILLER and still not be picked just because I will run out of space. Eventually, I hope to expand to opening my blog (13,000 hits a month and growing) and my Facebook Page (roughly 5,000 fans) to a similar program. Then working on networking other people together. I am also open ideas. Tell me how to help you then leave a comment, let us know you are coming. Ready to submit your stuff for this week (9/17) fill this out by Thursday 5 PM Central Time.